2018 is a year that most of Kibera residents would really like to forget. 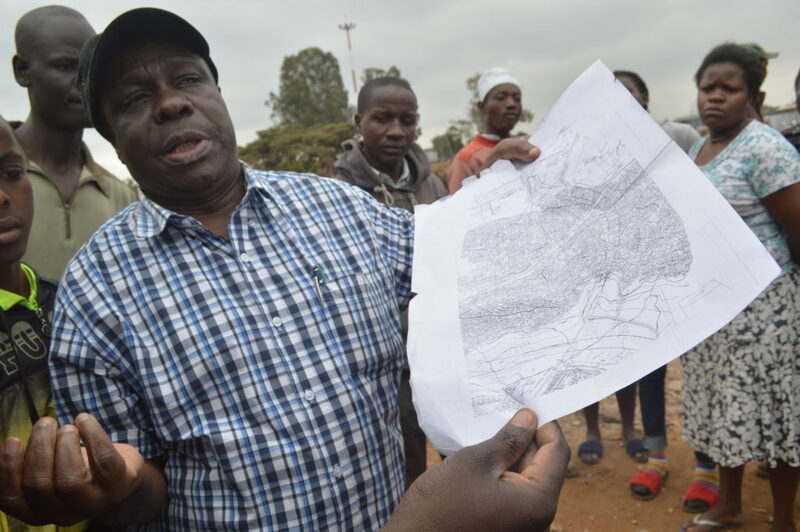 In the last 6 months, the residents of Kibera have been waking up to the sounds of bulldozers in their neighbourhood- not for purposes of evading traffic along Lang’ata road or Ngong Road. This time they had come with one purpose, to bring down structures which most of them had called home. To some, it was their business which ensured that they had something on the table at the end of the day. And to others these structures served as schools where their children went to learn and get the necessary knowledge that would prepare them for the market place and change their lives forever. 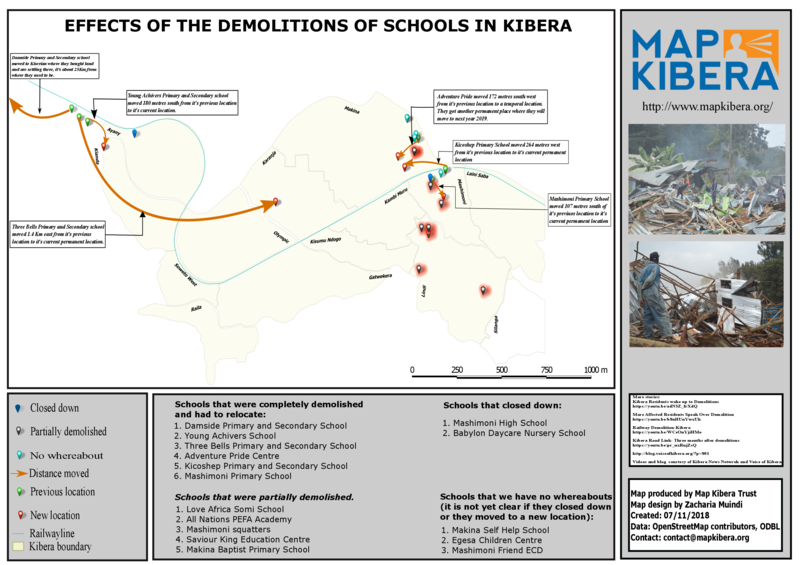 A map designed by Zack Wambua showing the effects of the demolitions of schools in Kibera (click image to expand). 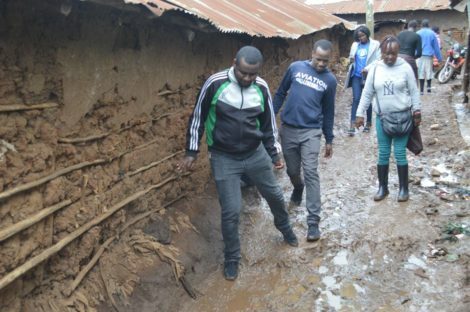 The demolitions in Kibera affected 4 schools that were located near the railway line around 42 area and 10 more schools were affected when structures were demolished to pave way for the construction of Kibera Link road (the road meant to link Ngong road and Lang’ata road to ease traffic on Ngong road). A bulldozer brings down structures around the DC’s place. 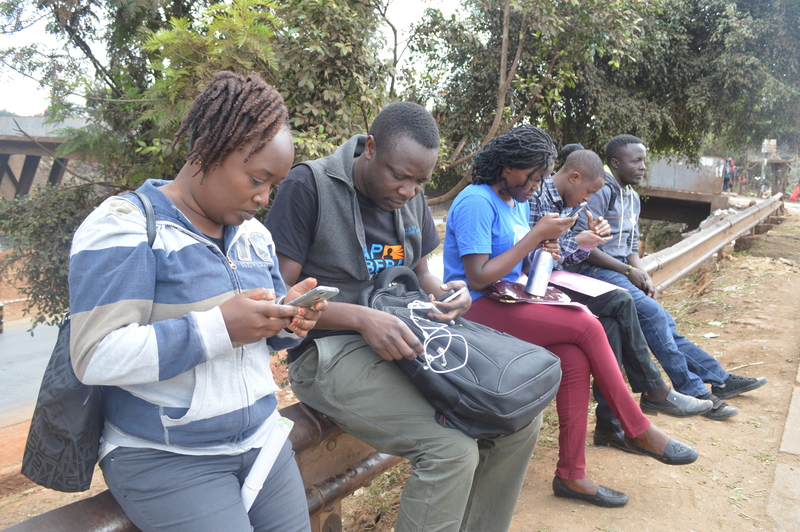 After all these incidents Map Kibera team went back to the field to track the schools that were affected and update their current location on the Open Schools Kenya website. On our way, we stopped at Babylon Day Care to talk to the school head (who also happens to own the school) to find out if she knows where some of the demolished schools might have moved to. In between our conversation, we learnt that one of her other schools had also been demolished. Her face was filled with grief and sadness as she explained to us how she was forced to take some of her students to the nearest schools because she had nowhere to take them. We asked if she intends to reopen her school again and she told us she doesn’t see the need to and if she gets that chance again she will only do that in her rural place. After our short talk she shared with us the contacts of another school called Damside Preparatory that was affected and told us that the principal of that school would be in a position to tell us where the other schools relocated to. I quickly saved the number on my phone and proceeded to where we had been directed. When we got there, we were met with a vast empty land and the remains of what used to be people’s homes and schools. I called the school head and after a brief introduction he told me to go to where the school used to be as he was already there. We went through the rubble and after few miles we saw a group of people standing together. When we got to where they were we quickly introduced ourselves. The school head introduced the team that he was with, which comprised of class 8 candidates and two parents. The school head reminded us that the place where we were standing on is where their school used to stand and they were meeting there to finalize on their preparations for the forthcoming national exams. We were curious to find out where the students will sit for their exams now that the school had been demolished. “The government offered space for the students in one of the nearby public school and so that is where they will do their exams,” said the school head. “So what is next for the school? Have you found a place to move to?” we asked. The school head went ahead to recount how they had incurred a lot of losses as a result of the demolition. He had just acquired the code to make his school an exam centre, a process that had cost him 100,000 KSH. In addition, he had just finished building a laboratory earlier this year that also cost him a large sum of money. Afterwards, the school head agreed to an impromptu interview with members of our media team, Kibera News Network, who had accompanied us (check out their video here!). He also asked us to interview one of the parents and a student so that they can share their side of the story. The school head later told us where the other schools moved to. One moved to a nearby SDA church, another pitched tent in a nearby health dispensary and the other one moved somewhere along Karanja road. Sam picking coordinates of where one of the schools moved to. losses, some have been forced to shut down. Others have had to partition some of the rooms to accommodate the number of students. Parents had to go through the hustle of looking for a new school and the most affected group is the students that have to walk a long distance to their new school and at the same time adapt to the new environment. I can’t imagine what could be going through the minds of class 8 and form 4 candidates. How are they supposed to compete with students from other schools considering what they have been through? While other students were in classes reading, students from the affected schools were busy trying to salvage what they could from the rubbles of what used to be their classroom. While other students are reading their books, students from these schools lost all their books during the demolition. The few books that they could salvage would have to be shared amongst themselves which means that they don’t get a chance to carry the books home with them to read. We will continue to follow up with the schools, and update their information and locations on Open Schools Kenya. Open Schools Kenya is a great initiative that seeks to make data about schools available and meaningful to the public and stakeholders in the education sector through mapping. The idea initially started in Kibera and the rigorous mapping exercise saw slightly over 300 schools mapped in the region. What has followed ever since has been a success story. The mapping of schools has made it easier for parents to make informed choices when sending their children to school. The mapping of schools has also made it easier for the relevant authorities to know about and follow up with schools and contact them without having to hustle for their contact details like before. 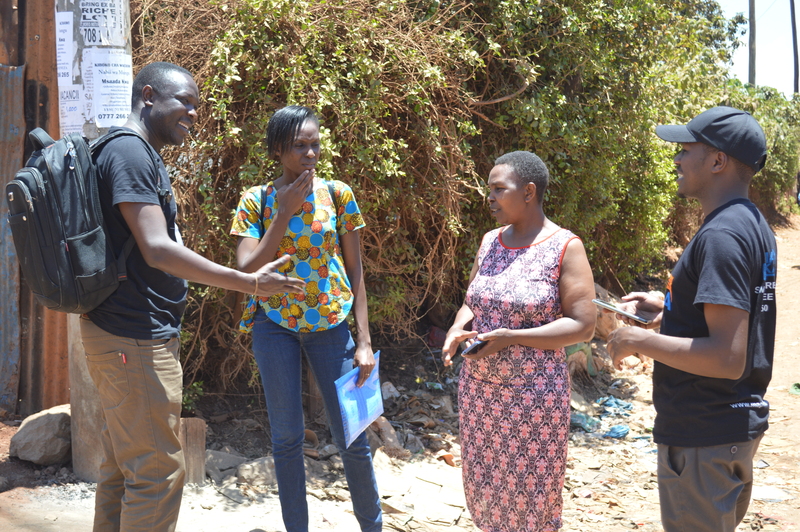 Moving forward, Map Kibera was first in line to assist in the implementation of the same idea of mapping of schools in Kangemi with the generous support of Indigo Trust. Map Kibera offered training to participants from Kangemi to map their local schools, with support from many including the MP of Westlands Constituency, Hon.Timothy Wanyonyi, Evans Onchiri, the APBET (Alternative Provision of Basic Education) Coordinator for Kangemi, and the District Education Officer Julius Mburu. 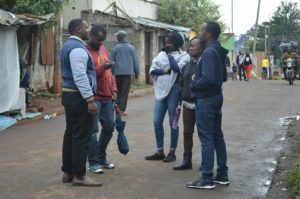 We had a total of twelve mappers with seven of them being locals from the region, and the rest from the Map Kibera team. 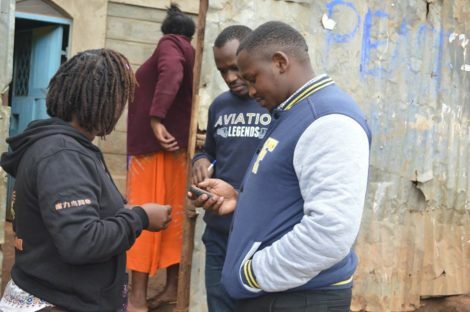 Lead mapper from Kangemi was Sharon Adhiambo, who had previously worked with Map Kibera on trainings while a member of Youth Mappers at Moi University. The selected wards were Kangemi, Kitusuru, Mountain View, and Parklands. 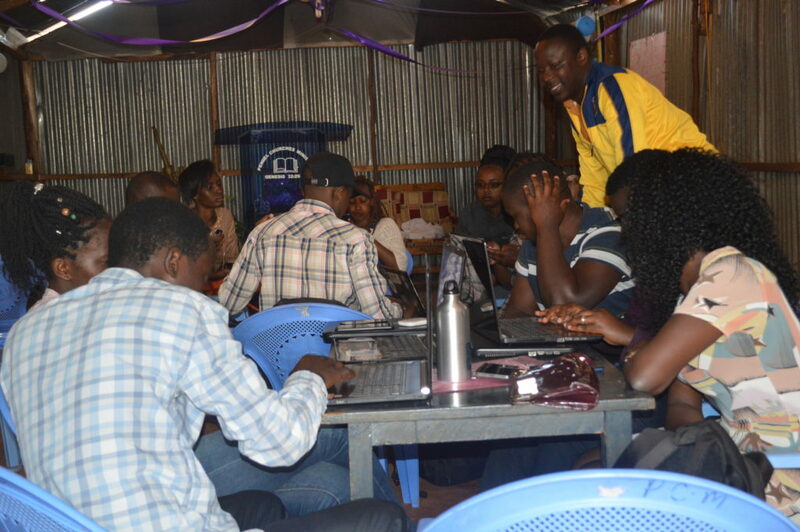 The training started on Thursday 13th of September and we proceeded to the next day taking the trainees through OpenStreetMap, Open Data Kit (ODK) and Java OpenStreetMap (JOSM). The mapping exercise commenced on Monday 17th September and each of the 6 teams was allocated a specific area to cover. The field work proceeded quite well and the mappers were well received in most of the schools they visited. The entire mapping exercise took a total of fourteen working days and despite the challenging task the mappers managed to cover all the schools in the designated wards. My team specifically mapped the highest number of schools since the schools were concentrated in the area. 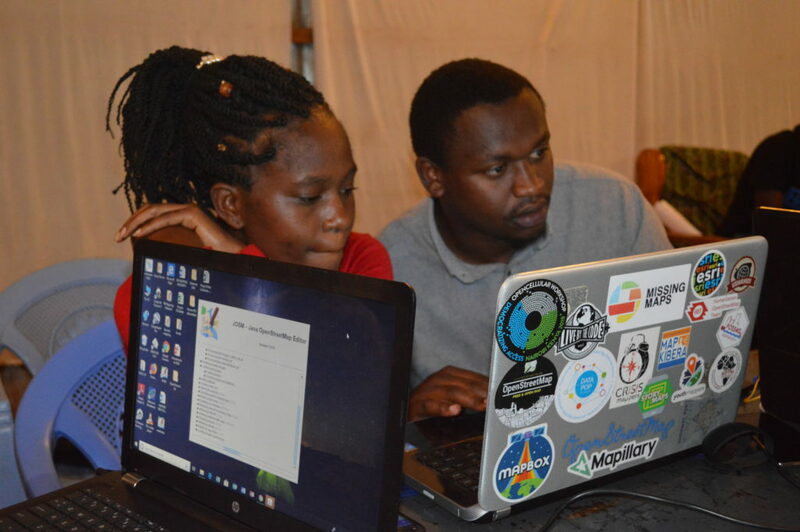 With the support of the community and leaders, this exercise has already covered more than 250 schools which are now on OpenStreetMap, and will soon be added to the Open Schools Kenya website. Please check back for more updates soon! 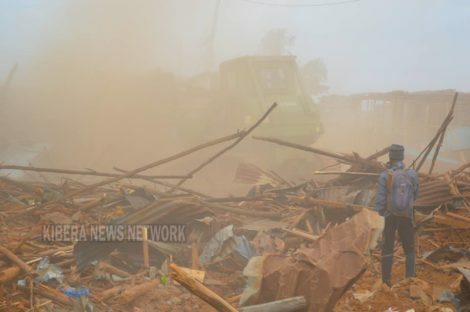 The morning of Monday July 23, residents woke up to a shock of heavy police presence and bulldozer ready to bring down their homes. The demolition started by 7am as the residents watch in disbelief. It was at the same time a race against time to be able to rescue whatever property they could from their houses. Children ran around helter skelter, women cried helplessly and everyone carried away whatever they considered important to them. 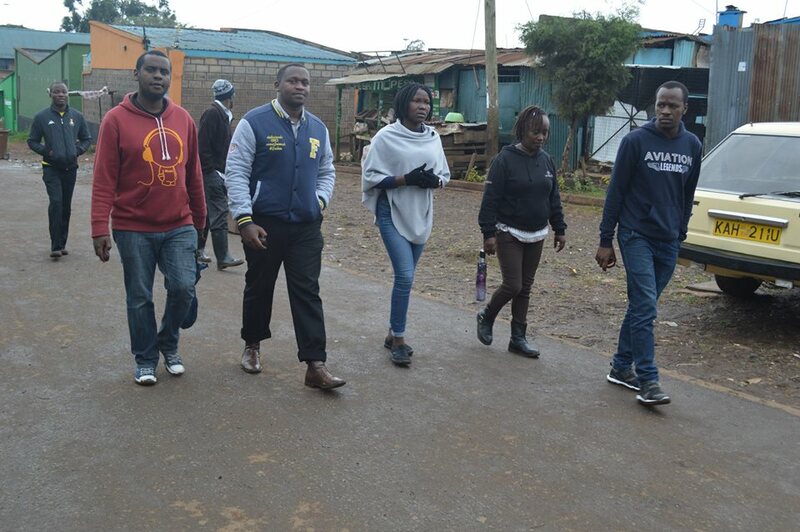 The road will go from Yaya Center to join Langata road, through Lindi into Kibera South Health Center from DC’s area. 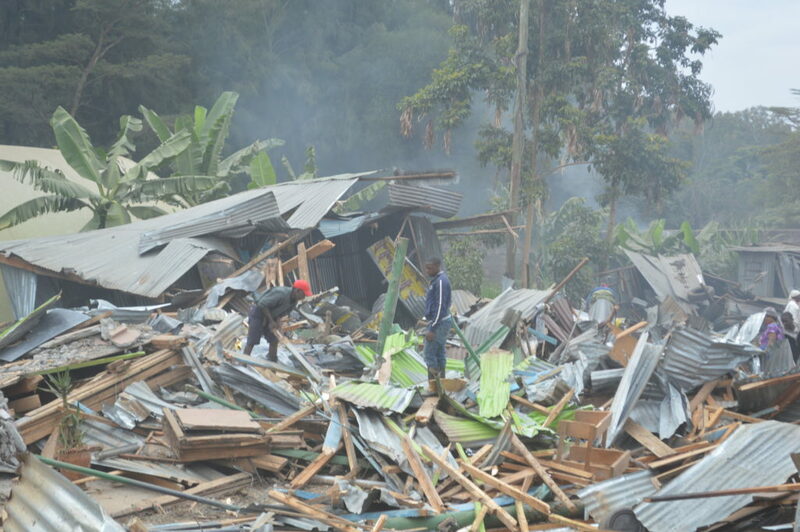 Around 30,000 families have been affected by the demolition. The road was identified in 2014 and is meant to ease traffic within Nairobi city. Kibera residents have been living with a lot of uncertainty in the recent past. 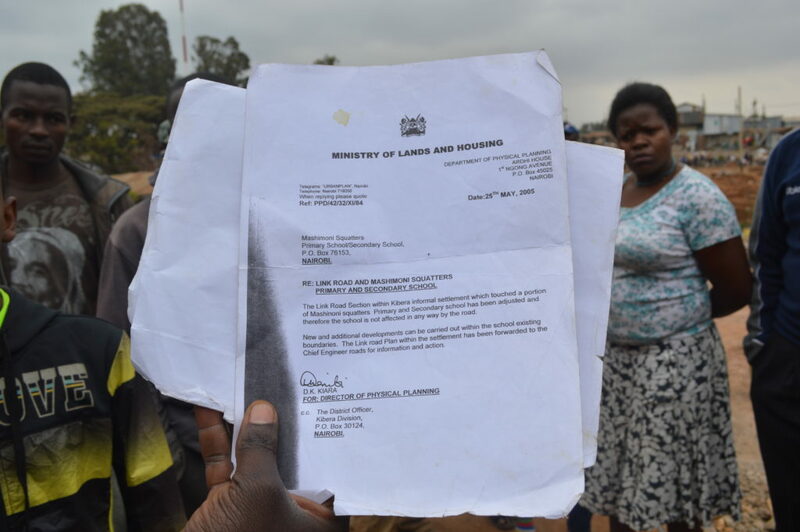 Not so long ago we witnessed the Kenya Railway decanting sites being demolished, leaving around 1000 residents homeless, some of whom even had housing allocation numbers and the key without a house. Just before that there was a major demolition all round Moi girls where a form two student girl was reported to have been raped by unknown person. 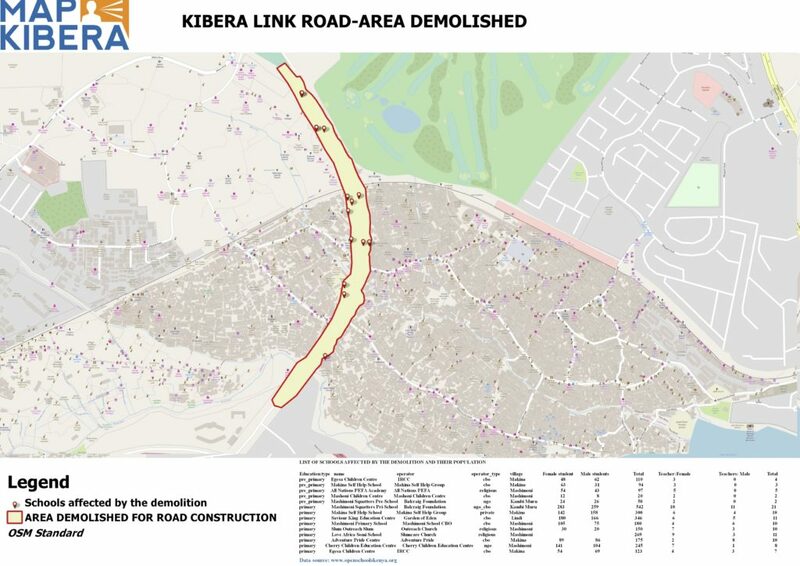 Now, a huge road is cutting Kibera slum into two. The residents had been given a notice to vacate the area, however, at the time of the demolition there was already a postponement order. There had been three different maps showing different routes that the road would pass. How were the residents supposed to know which road map would eventually be used? This led to a lot of push and pull between Kibera activists, civil societies and the government. Questioning who diverted the road three times and why was not futile. 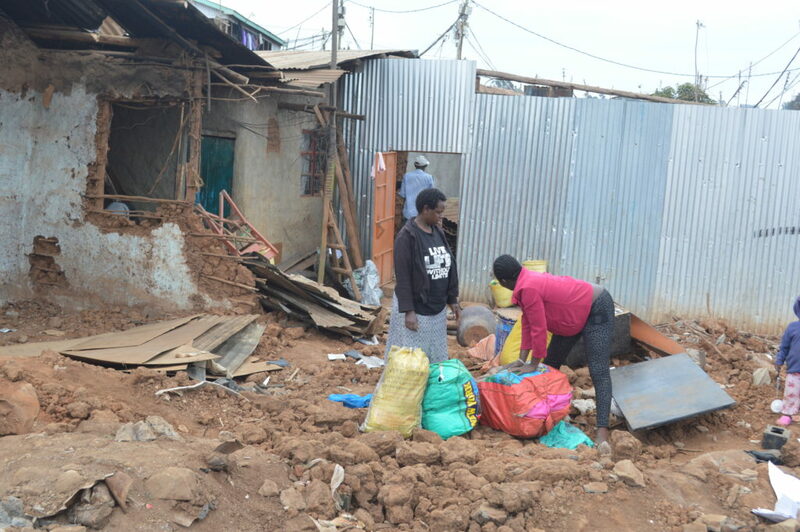 Several meetings were held between the affected persons, Kenya Urban Roads Authority, Kenya National Human Rights Commission, and the National Lands Commission trying to find an amicable solution to the issue and the best way the demolition would be carried out humanly. The two weeks’ notice was then extended indefinitely awaiting an enumeration and the development of a Relocation Action Plan, something that might have relieved the affected persons for a while. There was also a case in court awaiting ruling on the same issue. However, all this was disregarded that morning of July 23rd. It’s at such times that many residents wondered whether they really belong to the country Kenya. Don’t forget that the road has also robbed off Kibera their only social playground near DC’s area. How does it feel when a road has robbed you off your home, your livelihood, your church, your children’s school, your only social playground? People have also lost jobs. Only a few people would be in a position to find themselves a new place or even afford to travel back to their upcountry homes. Some people believed that this is a scheme by the government to try and finish Kibera in a bid to weaken the opposition, but where is Raila the former Prime Minister? Why is he so quiet on this? 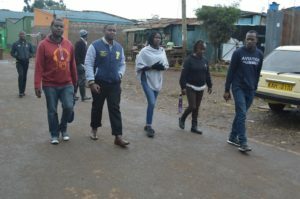 Kibra MP Hon Ken Okoth, who is currently out of the country, has in the recent past made a lot of noise on social media to have his people handled with some dignity even as they move from road reserve. But neither him nor Makina MCA Hon. 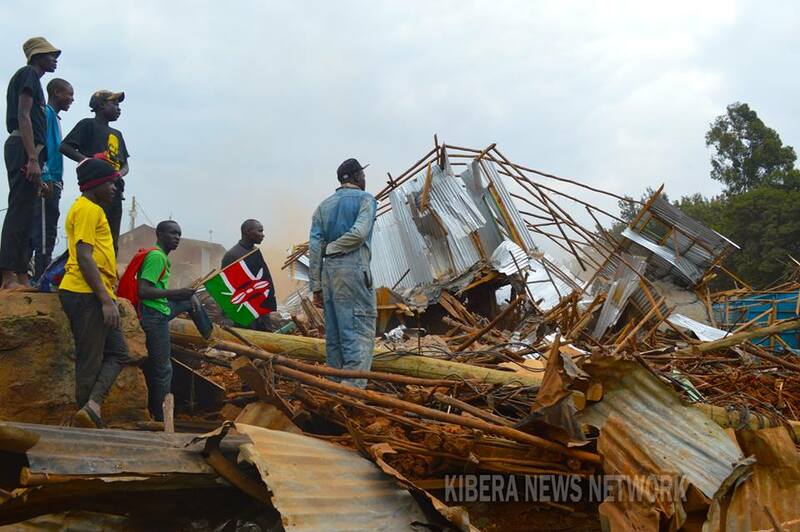 Magembe could lobby to stop the demolition. Amnesty International accused the government for not following the agreement to relocate the persons affected, terming it a violation of Human Rights according to the International Human rights obligation. 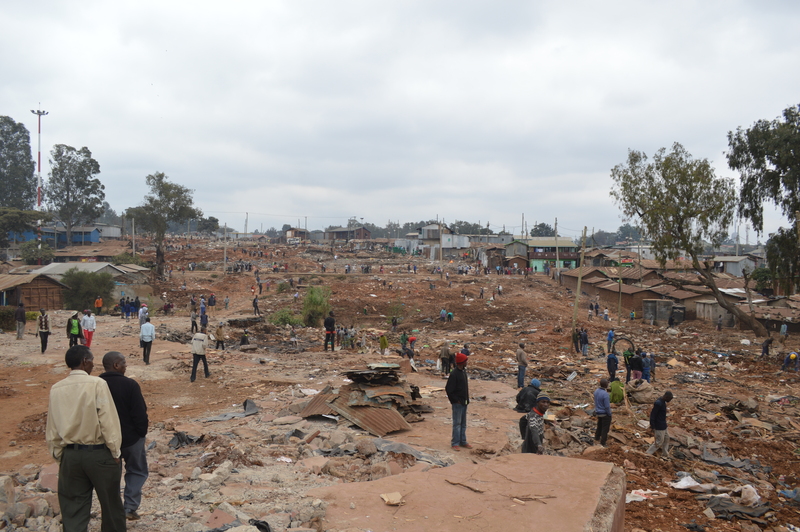 Is there such a thing as Human Rights and Constitutions to the people of Kibera? Article 40 of the Kenyan Constitution provides that those who occupy land without title deeds may be compensated in a good faith. What next? Who next? Where else? When next? How else? 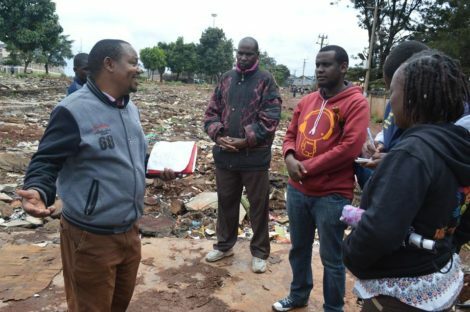 These are some of the questions lingering in the heads of Kibera residents. Till when will Kibera people live with all these fears?